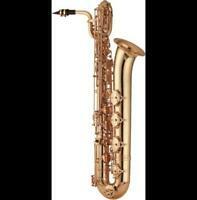 Yanagisawa B901 Eb Baritone Saxophone w/ case EMS 2-3weeks arrive! My Haynes piccolo lives in a double case, but on those occasions when I don't need it, I don't like to leave out or, worse, in the double case, unattended, during rhe job. Also, when it goes in for an extended repair, it's nice for it to have a case of its own. This case is both beautiful and a perfect fit; ots solud construction will keep ypur instrument safe. I'm so glad that I found this case for my piccolo. I play a Hammig which I bought used, and it came with a case that wasn't the original, and it wasn't great. This case fits the bubble style head common with the all wood piccolos. It is also gorgeous! Great value for a great case! 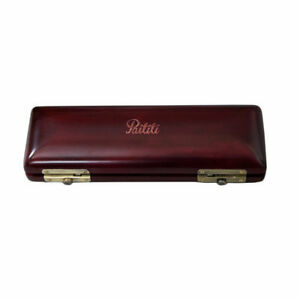 I ordered this beautiful mahogany wooden piccolo case and I am very pleased how it looks and fits my Yamaha 62 piccolo. I was pleased with how fast I received the case after ordering it too. Thank you so much! The piccolo case fit my Yamaha YPC-62 piccolo very well and the mahogany wood looks great.